Mind design’s Niels Schrader writes a kind and insightful profile of Open Work for the September issue of Novum, out in late August. 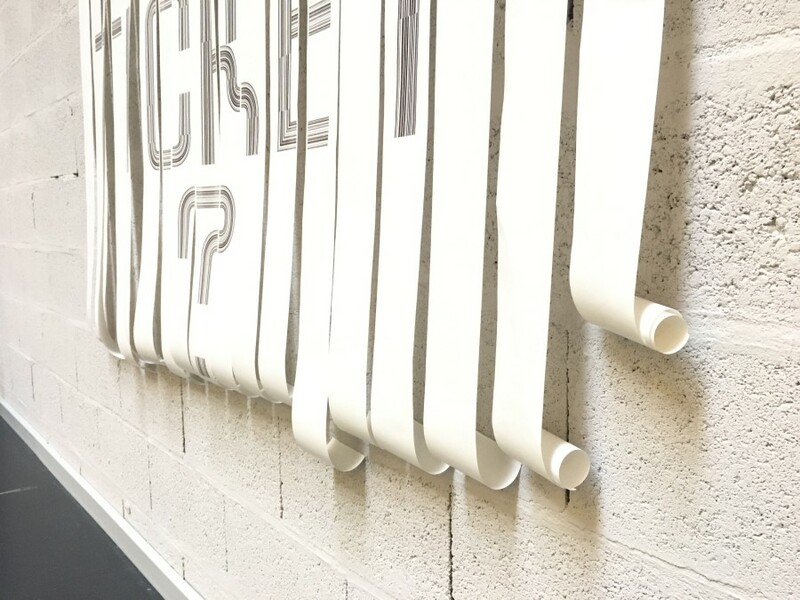 After a two-year hiatus, Kai returns to Écal as a visiting professor in the type design master programme. With the first-year students, he starts a short project called “Tools Make Shapes: Towards Neo-Calligraphic Paradigms”. The students are maybe a little freaked out, but will deliver stunning results in December. More than two years in the making, 2016 also sees the birth of Tegenstellingen (“counter-positions”), a new book series for Octavo publicaties. Carvalho Bernau had first started working on the design concept in 2014, and kept working on it with Open Work since 2015. Finally, we carry it over the finish line together in October. The design is a protest banner, held by many hands and spread across many books, marching for change together. Open Work notice that it was their second anniversary! We make a five-day company trip to Lisbon. We visit museums, snack on pastéis de nata, ambulate until our feet hurt, get miserably, horribly soaked, and eat tons of seafood. Lisboa que saudades! The world changes on November 8 and we are all freaked out and paralysed for weeks. Also in November, issue 8 of Works That Work is out. 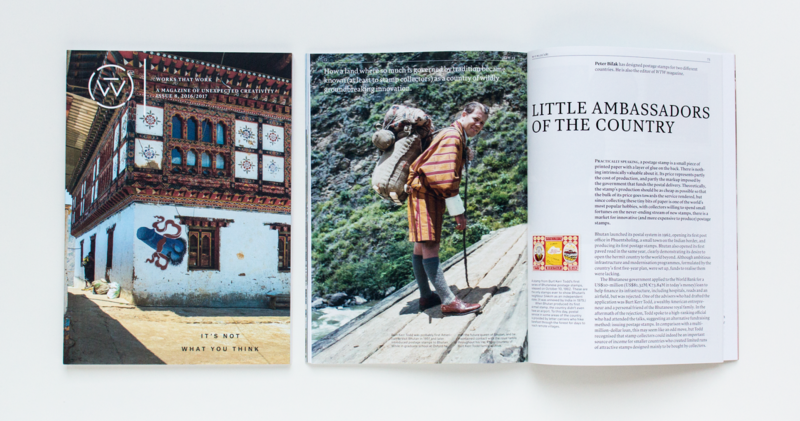 It’s about the small nation of Bhutan, mercifully optimistic and far away from the burning, hurting world we see in front of us. It’s the first issue we make with our friends at Drukkerij Tielen, and with our new lithographer Brigitte. The results are really great. On 2 December, Dutch artist Gerbrand Burger’s new exhibition opens at C&H gallery in Amsterdam, and the artist book we have been working on together for the past year is published. 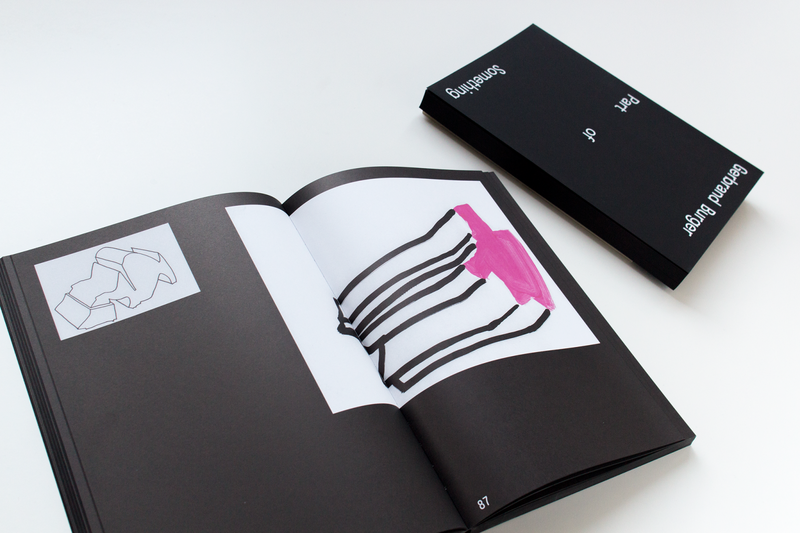 An A4+ pitch-black monolith of two kilos, it’s the most radical book we’ve ever made. The crazy thing is, we can’t even show you one of the things we spent the most time with in 2016: We’ve continued our collaboration with Erik van Blokland, with whom we have been working for two years on the biggest type design assignment of our career so far. We completed it just now, as the year drew to a close. We are super proud of what we made, but can’t show you just yet. Expect more news soon! The collaboration between Erik and us went so well that we are happy to let you know we asked Erik (begged him, really) to set out with us once again to take on a brand new commission. Plz hold your thumbs and wish us luck! 2016 has been a wonderful, productive year for us. We have learned so much, achieved a few cool things, met new challenges and a ton of great people. But 2016 has also been a terrible, terrible year that made us lie awake at night. There is more reason than ever to stand up for those who are weaker than us, to oppose inequality, double-speak and hatred, and fight fascism always. We donated our entire 2016 royalties of Neutral to Doctors Without Borders. They are remarkable, brave, generous humans who deserve all our love and support. Right now, as you read this, they are tending to the wounded, and delivering babies as the bombs rain down on razed Aleppo. They are cruising the Mediterranean, saving hundreds of beaten, bruised, defeated refugees from miserable deaths every day. We thank them for all that they do. Newsflash: We are speechless with gratitude that Typotheque, the foundry that carries Neutral, has spontaneously decided to match our donation to Doctors Without Borders. Please consider supporting their efforts as well: http://www.msf.org/donate. Dear colleagues, clients, dear friends, students: Thanks for reading, and thanks for your support. Be cool, and be safe out there. We wish you a great new year. Stay strong, love each other, keep fighting!